Preheat oven to 400°F (if baking). Smash oregano, seasonings, garlic and onion in a mortar and pestle to form a paste. Place in a bowl with egg and breadcrumbs and stir to mix thoroughly. Add meat and, using hands, squish the paste through gently. 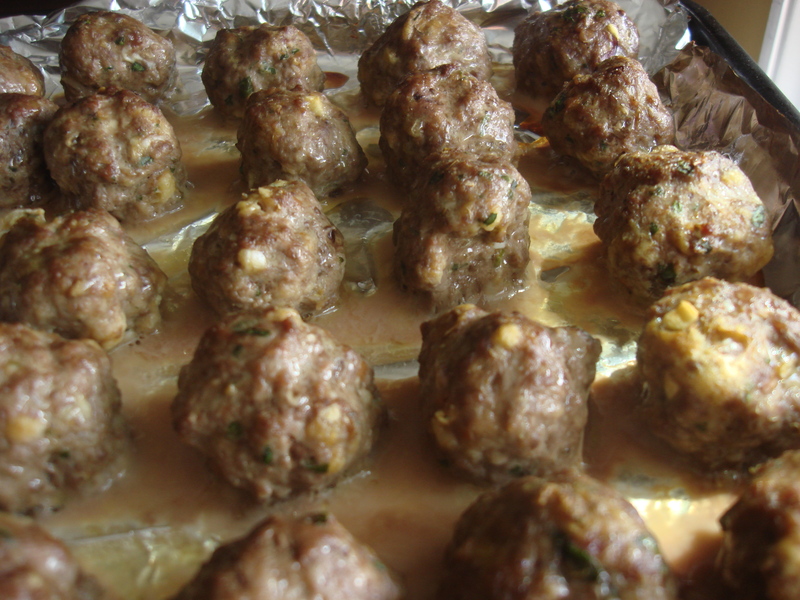 Form small meatballs and place on a rimmed oven dish, covered in foil (to reduce clean-up). Bake for 30 minutes and serve (or allow to cool and place in a flat layer in a freezer-safe bag, and lay on a plate in the freezer. 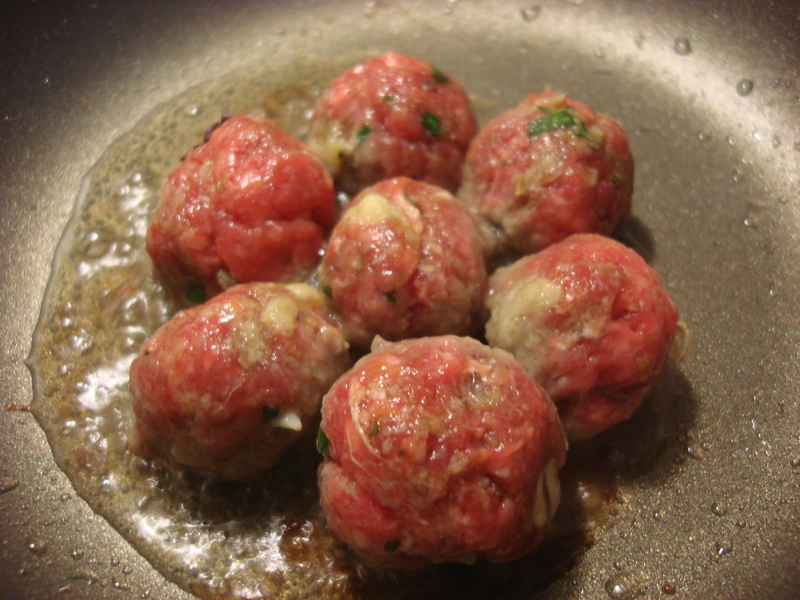 Remove plate when meatballs are frozen and they should move freely (not be frozen stuck together). If frying, fry in a small amount of vegetable oil, turning every few minutes (should be completely cooked in under ten minutes at medium). Serve immediately. ← 400th Post – A celebration because YES, I have ripe tomatoes! Meatballs should have their own food group. This recipe sounds delicious! 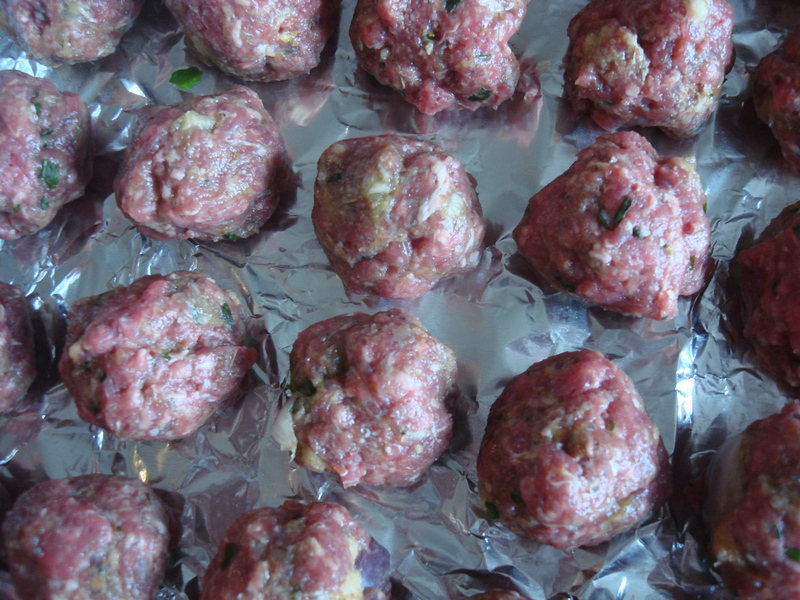 I agree with you about having meatballs in your freezer…especially with your busy schedule. I’m sure yours are a hit with everyone that try them.I tend to fry mine but without any additional oil. I like all the crispy brown edges. I love the fried ones too, but they don’t freeze as well…And the baked ones can be fried once they are defrosted to give them some browning…. I would like to fry a batch and bake a batch! That sounds like a very good plan! That sounds perfect! They are great with a bit of jerez to start things off! You are tempting me – I’ve got a bottle of fino in the kitchen!